This cute little bunny puts the 'ADORE' in Adorable! 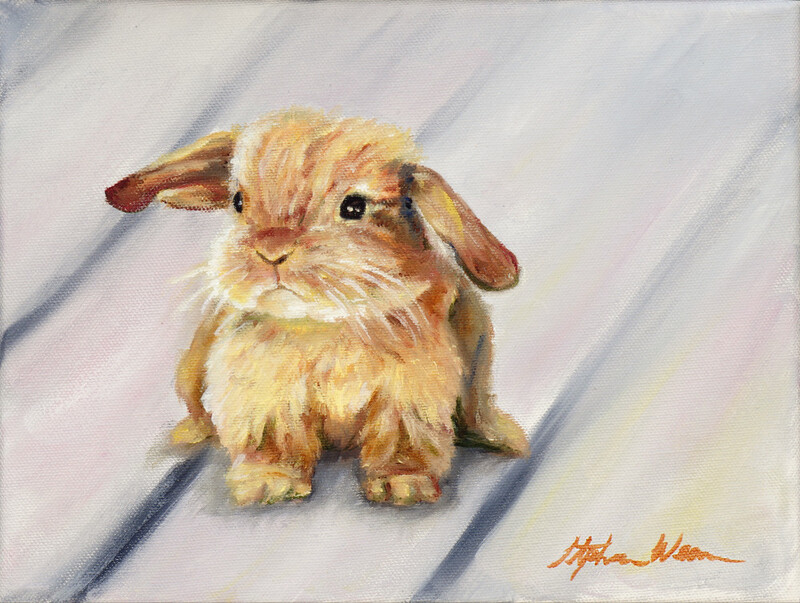 "Bunny" 8 x 10" Oil Painting comes framed and ready to hang. This cute little bunny puts the 'ADORE' in Adorable! I love this painting because of the softness in the bunny and in the background, he is just patiently waiting for a snuggle. Don't you just want to hug him!!! Your customer satisfaction is of the utmost importance to me. I do my best to create quality artwork and ship my work with the utmost care and in as timely a manner as possible. If for some reason you are dissatisfied with the product you have ordered once it arrives or if it arrives damaged, please notify me within six days of receipt of your order to report any problems. I will work with you to resolve the problem. © Copyright 2018, Stephanie Weaver Fine Art Artist, Inc. All Rights Reserved. EMAIL ME ABOUT MY PROCESS, AVAILABLE WORK OR POSSIBLE COMMISSIONS. I'M HAPPY TO SET UP AN APPOINTMENT TIME TO CHAT ON THE PHONE ABOUT ANY QUESTIONS YOU MAY HAVE AND LEARN MORE ABOUT YOUR INTERESTS IN ART. Not applicable to custom oil paintings.